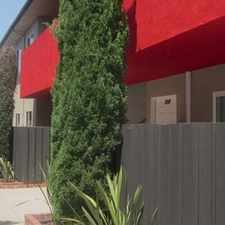 This apartment is in the Harbor Gateway South neighborhood in Los Angeles. Nearby parks include Normandale Playground, Brea Park and Harbor City Recreation Center. Seacrest Homes Apartments has a Walk Score of 63 out of 100. This location is Somewhat Walkable so some errands can be accomplished on foot. CONTACT US TODAY - BRAND NEW! Experience resort style luxury living at Seacrest Homes, where the ocean and city are seamlessly intertwined. Our newly built community features sophisticated two and three-bedroom residences, each complete with high end designer finishes, quartz counter tops, stainless steel whirlpool appliances, office nook, and a full size in-unit washer and dryer. Find your personal escape at home beside stunning swimming pools and spas with poolside cabanas. Experience your very own oasis surrounded by lavish landscaped courtyards, inviting fire pits, with indoor/outdoor entertainment seating. By day, lounge in the BBQ area and experience the breath taking unobstructed views stretching from the Palos Verdes Peninsula to Downtown Los Angeles, or watch the beautify of the South Bay skyline light up by night. Start or end your day with a workout in our full-size state of the art fitness club and yoga studio. Save the commute and plan your next meeting in the business center's fully equipped conference room, adjacent to our internet and coffee lounge. Conveniently located bear beautiful local beaches with easy access to the 110, 405, and 91 freeways, exclusive shopping at the largest mall in the Western United States "The Del Amo Fashion Center" to the hospital of your choice, Kaiser Hospital, UCLA Harbor Medical Center, Torrance Memorial Medical Center, and Providence Little Company of Mary Hospital Torrance rated one of the top 10 Best in Los Angeles. Contact us today to tour and enbrace the Seacrest luxury lifestyle as your own. Explore how far you can travel by car, bus, bike and foot from Seacrest Homes Apartments. Seacrest Homes Apartments has some transit which means a few nearby public transportation options. View all Harbor Gateway South apartments on a map. Seacrest Homes Apartments is in the Harbor Gateway South neighborhood. Harbor Gateway South is the 55th most walkable neighborhood in Los Angeles with a neighborhood Walk Score of 65.